Thrifty and Frugal Living: Win a Gorton's Seafood Old School Vintage Tee! Win a Gorton's Seafood Old School Vintage Tee! 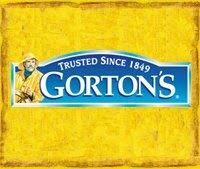 Go here and become a Facebook fan of Gorton's, then scroll down and on the left side you will see a square that says "Gorton's latest giveaway". Click on the picture and you will have to click to allow permission. Then, fill out the form to be entered to win. They will be giving away 3 Old School Vintage Tee's daily for the entire month of June! !